Google Gear: AdSense Turns One! One common theme on Google Gear is the use of our red, blue, yellow, green colors. It’s a dead giveaway even when the Google logo isn’t front and center. 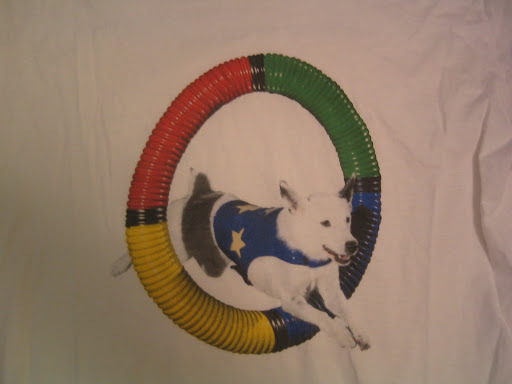 Here’s one AdSense milestone shirt (i think the one year anniversary) with the AdSense puppy.